I was lucky to have spent much of the past month visiting family in and around Venice, steeping myself in the stories that run deep and dark like the murky waters of the Venetian Lagoon. I’m collecting the tales of my extended family for a project I hope to do one day, perhaps when I’m done with the saga of Jack and Isabel from A Special Education. Two projects actually, as I plan to use some of the folklore around the town of Asolo for my other long term work involving Tim from “Dinner In Carcosa” and the Ambrosoviches. I also spent two weeks wandering around in the old Cathar countryside of the Languedoc. I’d heard a lot about the heresies of the Cathars during my university days, particularly those hiding out in Montpellier, and it’s fair to say that quite a bit of “Dinner in Carcosa” was inspired by them. 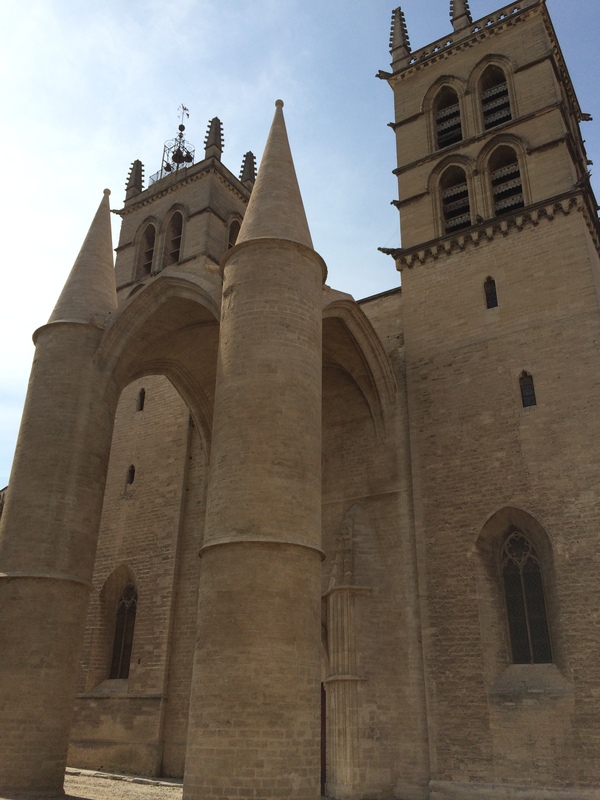 In fact, some folks believe that the nearby town of Carcassonne was Ambrose Bierce’s own inspiration for Carcosa. Unfortunately, the downside to lots of sightseeing and good conversation was that there wasn’t too much time to work on existing projects. Just plenty of notes and ideas for the future. 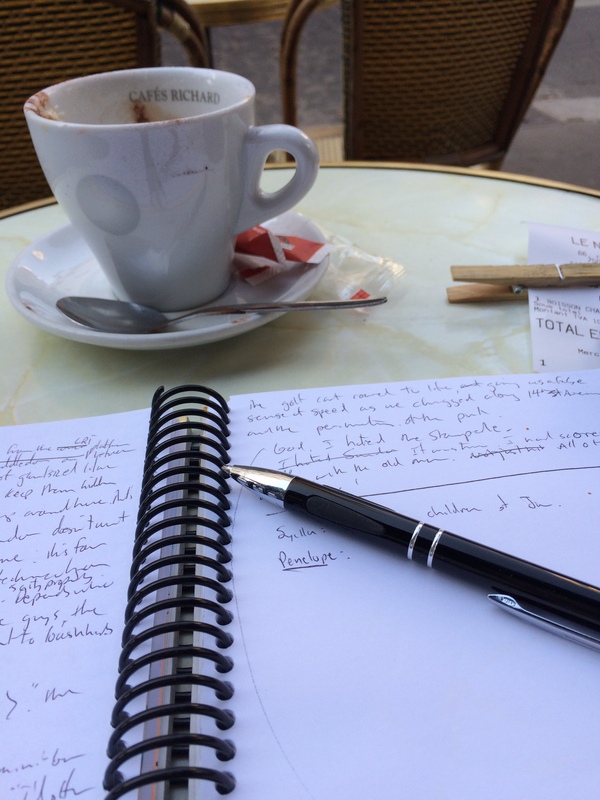 Here’s a stolen moment early one morning in the Parisian neighbourhood of Montparnasse, reflecting on a chance conversation from Pezenas, France with Canadian painter David Nielsen. Neilsen and I chatted about his upcoming exhibit at the Leighton Art Centre, near Calgary, and it was great to hear some of the thinking that went into his own project and how he wrestled with some of his conceptualization issues. I came away with a whole head full of thoughts for my main summer project, editing the parking lot novel from last summer.